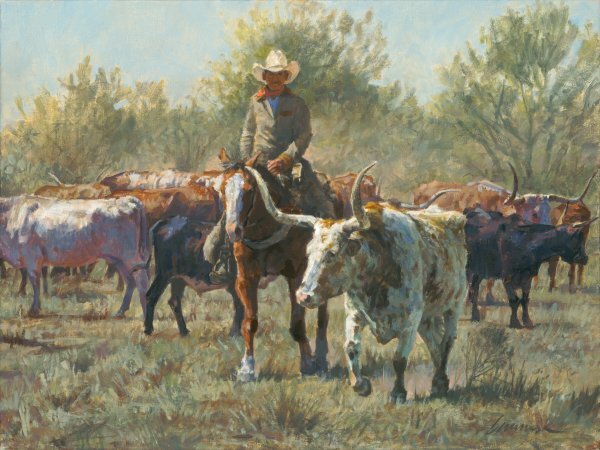 Ragan Gennusa is well known for his paintings of the famous Texas longhorn cattle. Cowboys know that, with any herd, there will be some rather stubborn members that will not obey the rules. This cowboy knows he has his hands full as he attempts to bring a "Contrary" longhorn back into the herd. Perhaps, with a little more coaxing, this renegade will get back on the right path.